We find the most common mistake people make when ordering wheelchair ramps for shops is that they don’t take in to consideration the fact that they need to allow enough room for the wheelchair user to have a straight on approach to the ramp. 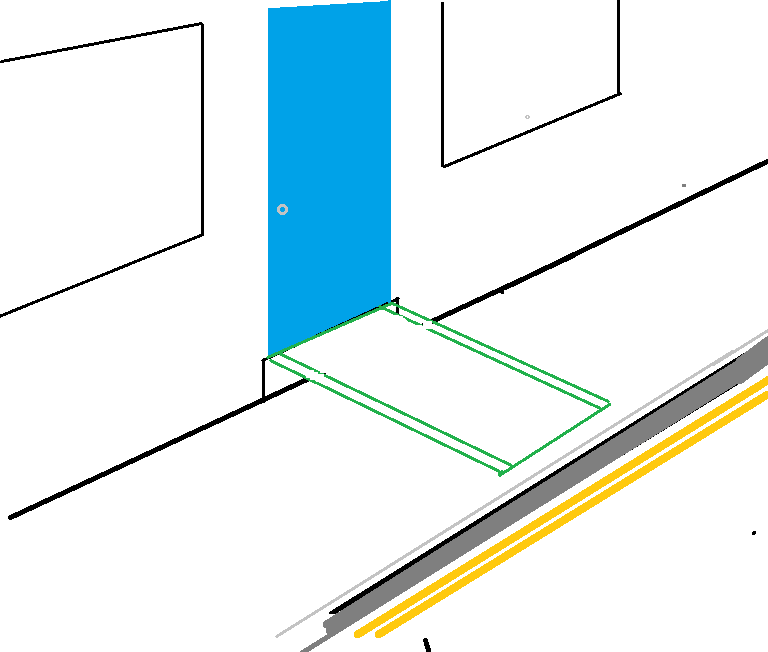 Where this often causes problems is when the shop entrance is directly on to the public pavement and the person ordering the ramp has not allowed enough room between the front of the shop and the edge of the kerb to allow, not only for the length of the wheelchair ramp, but also enough space between the bottom of the ramp and the kerb for turning. As a rule we say to allow enough room for a maximum of 1:6 gradient for the ramp and an extra 1.2m between the bottom of the ramp and the kerb. The 1.2m allows for the wheelchair user to turn and be square on to the ramp before starting their ascent. If the pavement is too narrow you may still be able to put a ramp down but it becomes unusable as there is not enough room for the wheelchair user to get on the ramp because of the kerb or road. 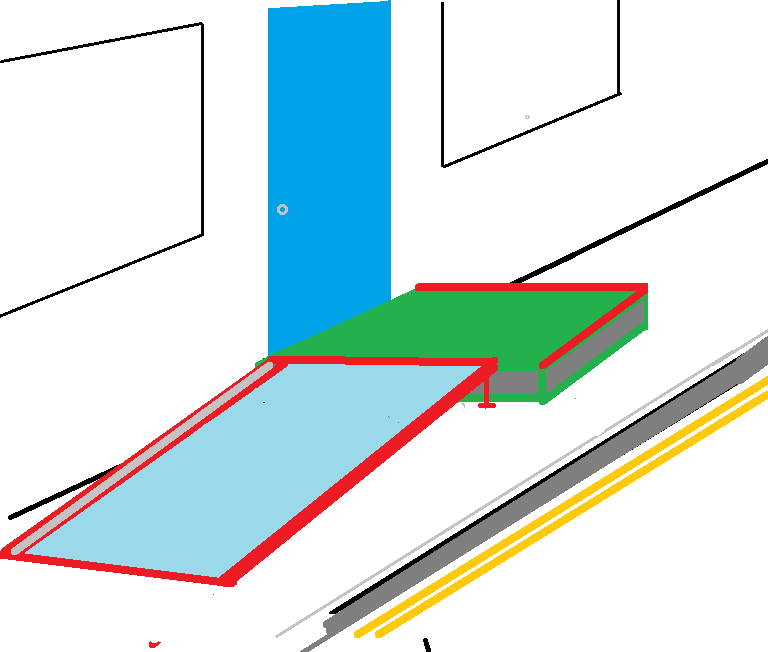 Providing the pavement is 1.2m wide, an adjustable height platform can be positioned outside the doorway with the ramp running at 90 degrees meaning the ramp runs along the pavement rather than out from it. The platforms are light enough that they can be stored in the shop alongside the ramp and can be simply set up as and when required.